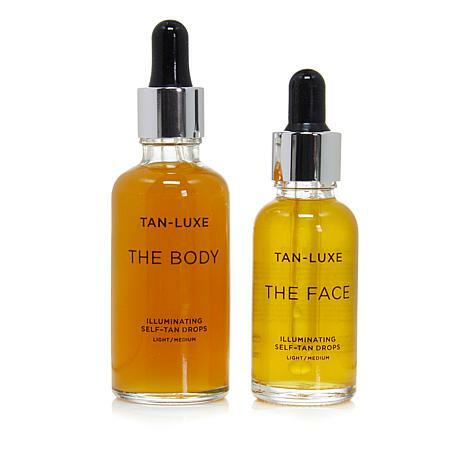 Tailor-made tanning drops transform your favorite moisturizer, serum, body oil and/or face oil into custom-made self-tanners. I am a redhead that doesnt tan. This product is excellent. I read other reviews and decided to purchase the medium/dark. I also watched a YouTube video to help ensure good results. This give me a healthy glow. I am very happy with the results and can use less makeup. I would recommend giving this product a try. Really like this. Love being able to use it with moisturizer since most self-tanners don't seem to moisturize and I feel dry. Color is fine - looks good and not orange. Can control depth by how many drops you add to your moisturizer. Didnt work on my skin. I followed directions, but got no color. I really liked the fellow who makes it and wanted to like the product, but my body chemistry must be different from the hosts skin. I will stick to another product that works for me. But try it. It may work for you. I gave it a try and it's going back. It came in very nice packaging. I used it for my body mixing it with a body cream and also on my face with my face cream. After 2 days I noticed patches of lighter skin on my face also peeling and dryness. All my age and sun spots got darker and I think I looked wired. The two problems I ran into are that these drops darkened sun spots along with the rest of my skin, also that unless well mixed with moisturizer, it can streak. Otherwise, I think the concept is pretty good. I had to return mine for the reasons stated.